Digestion is the key to maintaining our health. 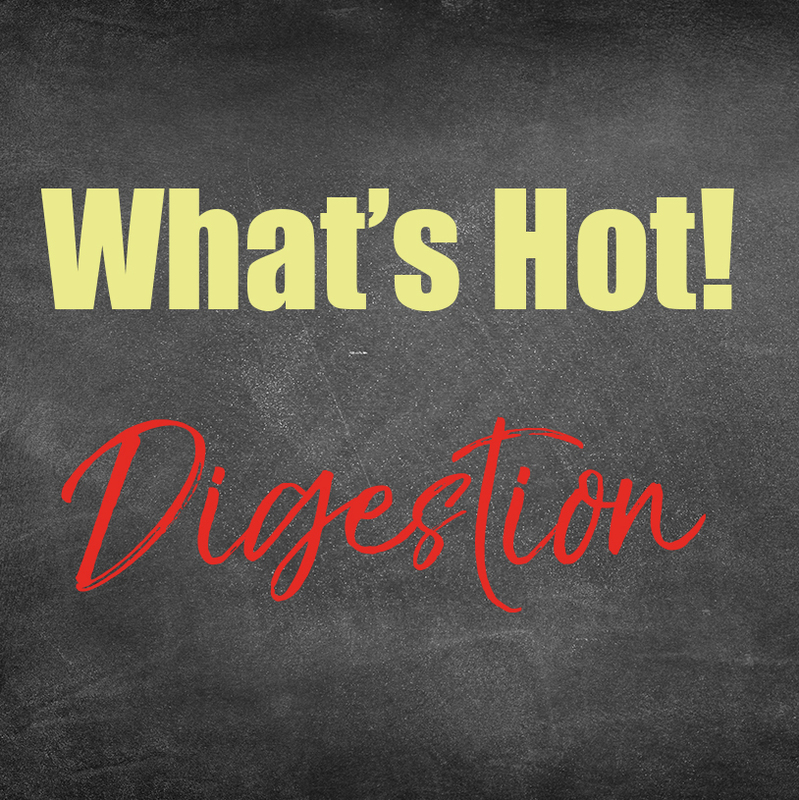 Digestion is a process of breaking down foods into smaller pieces (digestion) and getting the nutrients through the gastrointestinal tract to the cells (assimilation). Improper digestion results in foods not being assimilated into our system. Remember when foods are consumed they are still technically ‘outside’ of the human body (although in our body cavity) until assimilated into the blood stream. Chewing and swallowing: Starts the process of digestion and starts the process of starch (complex carbs) digestion with enzymes in the saliva-amylase and muscular movement of foods through the digestive system, peristalsis. Stomach: Swallowed foods meet the stomach and wait for digestive secretions to follow. Typically the more proteins that are involved then the body will produce more hydrochloric acid(s) (HCL); pepsin is secreted for digestion of proteins as well. HCL/pepsin fluid production for the day is typically 32oz at age 18 and 16oz at age 50. For this reason the absorption of B-12 becomes more of a challenge as one age’s. This is true for digestion of red meats as well. Foods with few or no proteins move through the stomach faster. Small intestine: As the food (bolus) passes the stomach pyloric valve and moves into the small intestine (duodenum) it is met with two distinctive substances. The first, bile is secreted especially when there is fat in a meal. Bile emulsifies fats by taking oils and separates or ‘bubbles’ them making them more dispersible. A simple thought is oil, water and vinegar dressing becomes more like ‘ranch’ dressing. This allows the pancreas secretions to bread down fat. Second, pancreas enzymes are released in this area providing large amounts of other enzymes (protease and amylase) to finalize the breakdown of proteins and carbohydrate starches into sugars. Bicarbonates (body made baking soda) are also released from the pancreas to adjust the acids from the stomach back toward a neutral position. Small sugars such as maltose (left over from starch digestion), lactose (milk sugar), sucrose (cane, honey, beet sugar) and small peptides (short chains of proteins) are finalized in the 20 plus feet of small intestine in the body with enzymes. Absorption of most nutrients (macro-proteins, fats, carbohydrates and micro vitamins and minerals) take place in the small intestine as well. Finally, the colon (large intestine) becomes a place where water and electrolytes as well as some other nutrients are absorbed. Digestion is a complex process regulated by the body’s autonomic nervous system. That said, autonomic means we don’t think about foods and the digestive process after they have been consumed, because the body does the work without us really thinking about it. This allows us to eat foods that are often a taste driven decision vs. what is the healthiest choice for our bodies. Choosing good foods: Those that are not fried or with added refined sugars, are overly processed (i.e. white flour) GMO’s (non-organic) makes our digestive system work harder and robs us of nutrients our bodies need. Aids to help with digestion are often sought after. Most commonly enzymes are added for digestion. These enzymes can be from plant or animal sources and have profound effects on improving digestion. Bitter herbs are back in vogue and can be found at many locations (both liquids and beverages); Bitters stimulate the body’s peristaltic action and the production of enzymes as well. Some spices and foods can help with digestion as well (such as lemon juice, apple cider vinegar, bitter salads, ginger, garlic or cardamom). Finally probiotics are friendly bacteria found in the digestive system and are extremely helpful for digestion. Probiotics use is often recommended by physicians for post anti-biotic use. Daily use of probiotics is extremely favorable for a healthy digestive system. Additionally, some probiotics have been researched for help with stress, sleep, mood and many other processes. Fermented foods are also good sources of natural probiotics (yogurt, kefir, kimchi, Kombucha, sauerkraut etc) and can be consumed on a regular basis to help with digestion.